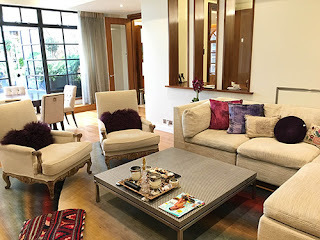 Mrs Hughes Cleaning Services West and Central London: Professional Home Cleaning Services - Why Choose a Reliable Partner? понеделник, 28 ноември 2016 г. Professional Home Cleaning Services - Why Choose a Reliable Partner? Home cleaning services become more and more popular among people. One reason about the growing demand is that cleaning requires lots of time and efforts, and people who are busy prefer to use professional home cleaning services. Considering the fact that most people have quite stressful and anxious lifestyles, they don’t need additional problems at home, so they find it easier to have a cleaning company take care of their place. However, professional home cleaning services have other benefits, too. First of all, cleaning companies will leave your house sparkling clean – something you can’t achieve no matter how hard you try. Home cleaning companies use professional cleaning agents and materials which are very powerful. In addition, home cleaning companies that have long experience in this field know how to deal with all types of cleaning in the shortest time and in the best way. The expert cleaners can manage with various problems and can quickly solve them all. Another great benefit of professional home cleaning London companies is that they use special tools and equipment which facilitate the cleaning process and provides best possible results. Combined with the experienced cleaners and the special cleaning materials, professional cleaning services prove to be superb. Even though home cleaning services become really popular, there are still people who don’t want to use them because they are skeptical about letting other people enter their home and touch their things. There is nothing to worry about because the cleaners work very careful to avoid any breakages and damages. Once you try professional home cleaning you will see that such services are very beneficial. They not only make your home spotless and save you time and efforts, but they also allow you to spend more precious moments with your beloved ones. So, if you are sure that you need more time for you and your family, do not hesitate to contact Mrs Hughes - your home cleaning company for West and Central London. Публикувано от Mrs Hughes в 8:57 ч.